IED blast: Terrorist group Jaish-e-Mohammed has claimed responsibility for the Pulwama terrorist attack on Thursday. Pulwama attack: The Jaish-e-Mohammad has claimed the attack in Jammu and Kashmir. Home Ministry says a car bomb was used in the "possible suicide attack". Terror group Jaish-e-Mohammed has claimed responsibility for the attack. The stretch of road where the attack occurred was believed to be "safe". 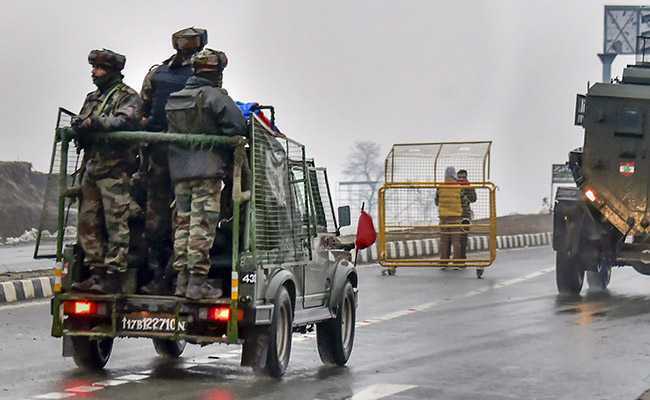 Nearly 40 Central Reserve Police Force (CRPF) personnel were killed and many others injured when terrorists targeted a convoy with a car bomb at Awantipora in Jammu and Kashmir's Pulwama district on Thursday, in what is the worst attack ever on security personnel in the state. Reports suggested that the vehicle used by the terrorists was a Mahindra Scorpio carrying more than 350 kg of explosives. The injured have been moved to the army base hospital in Srinagar, 20 km from the attack site. 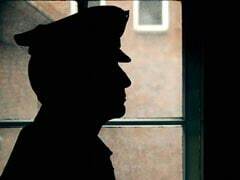 Pakistan-based terrorist group Jaish-e-Mohammed has claimed responsibility for the attack. 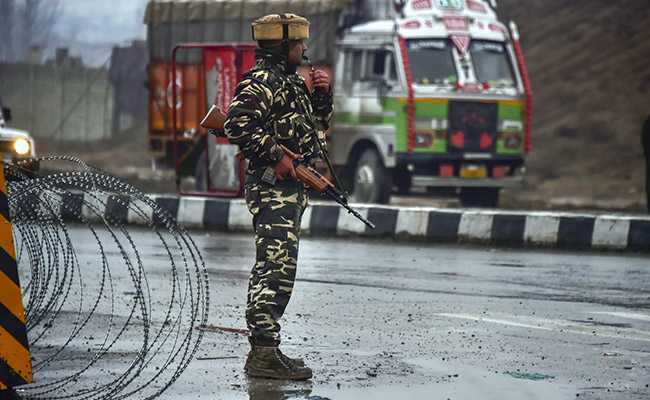 Home Ministry sources said that terrorists triggered the car bomb while 78 vehicles with over 2,500 CRPF men were on the Srinagar-Jammu highway. The stretch on which the incident occurred had been sanitized earlier in the morning, and authorities have termed it as a "serious breach" of security. Photographs showed charred remains of vehicles and human body parts littered across the highway, alongside blue military buses. Official sources said that the attack was carried out by one Adil Ahmad Dar alias "Waqas Commando". A resident of Kakapora, he had joined the terror outfit last year. The Home Ministry termed the Pulwama terror attack as a "possible suicide attack". Condemning the attack, the government in a strongly-worded statement, demanded that "Pakistan stopped supporting terrorists and terror groups operating from their territory." The centre also appealed to the "international community to support the proposal to list terrorists, including Jaish-e-Mohammed Chief Masood Azhar, as a designated terrorist under the 1267 Sanctions Committee of the UN Security Council." Prime Minister Narendra Modi tweeted that the sacrifices will not go in vain. "The attack on CRPF personnel in Pulwama is despicable. I strongly condemn this dastardly attack. The sacrifices of our brave security personnel shall not go in vain. The entire nation stands shoulder to shoulder with the families of the brave martyrs. May the injured recover quickly," he said. Union Home Minister Rajnath Singh, who will visit Srinagar today to review the situation, has assured that a strong response will be given to the terror attack. "We completely understand our responsibilities... will take whatever action is necessary," he told news agency ANI. The bus that was hit had 39 personnel. Bullet marks on the bus indicated that more terrorists may have fired at the convoy from hiding after the explosion. The scale of this terror strike has exceeded even that of the Uri attack on September 2016. According to news agency IANS, so many personnel were being transported at one go because the Srinagar-Jammu highway had been shut for the last two days due to bad weather. The convoy had left Jammu around 3:30 am. This is the worst terror attack to take place in Kashmir since the start of the century. On October 1, 2001, three terrorists had rammed a Tata Sumo loaded with explosives into the main gate of the Jammu and Kashmir State Legislative Assembly complex in Srinagar -- killing 38 people. The scale of this terror strike has exceeded even that of the Uri attack on September 2016, when four heavily armed terrorists targeted an army brigade headquarters -- causing 19 deaths. The Indian army had responded with a cross-border surgical strike in which several terror launch pads were destroyed.